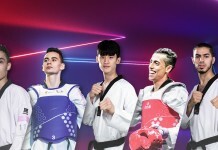 Chikara Ito, Japan’s top-ranked Para taekwondo fighter, leads Japan’s strongest team yet at the 2018 Asian Open in Ho Chi Minh City, Vietnam this week. When Para taekwondo makes its Paralympic debut in Tokyo in 2020, there are few fighters that will face as much pressure as Japan’s Chikara Ito. The No. 10-ranked fighter is in Vietnam for the Asian Open this week with the goal of winning a medal. Ito stormed onto the Para taekwondo scene in 2016 – less than one year after picking up the sport when he lost an arm in a work accident. Nicknamed ‘The Pioneer’, he has blazed a new path for Japan ever since. He won bronze at the 2016 Oceania Open and then won Japan’s first-ever Para taekwondo gold medal at the 2017 US Open. If he hopes to top the podium in Vietnam, Ito will have to get past Mongolia’s No. 1-ranked Bolor-Erdene Ganbat (up to 61 kg K44). Ganbat has won all three previous Asian Open events but will be looking for payback after losing to Russia’s Daniil Sidorov* at last year’s IWAS Games – his first-ever loss. Mongolia’s other No. 1-ranked world champion Enkhtuya Khurelbaatar (up to 49kg K44) is hoping to defend the Asian titles she won in 2016 and 2017. She was also upset at last year’s IWAS Games, when she dropped a decision to Turkey’s Meryem Betual Cavdar, who has jumped from No. 10 to No. 2 since the win. Other No. 1-ranked fighters competing in Vietnam this week include Iran’s Mahdi Pourrahnama (up to 75kg), Croatia’s Ivan Mikulic (over 75kg), and Great Britain’s Amy Truesdale (over 58kg). World champion Truesdale also hopes to avenge a surprise loss to Morocco’s No. 2-ranked Rajae Akermach at the African Open in Morocco in March. No. 1-ranked fighters from the K43 division competing in Vietnam include France’s Bopha Kong (up to 61kg), Ukraine’s Anton Shvets (up to 75kg) and Vika Marchuk (up to 49kg), and Kazakhstan’s Nurlan Dombayev (over 75kg). Continuing a trend that has seen the growth of the sport explode in recent years, the 2018 Asian Open will have a record number of participants. There are 120 fighters from 28 countries registered to compete, 33 percent more than 2017. Traditional powerhouse countries like Iran (11), Russia (10), and Turkey (9) are all sending large contingents of fighters. They will be joined by fighters from China and Pakistan for the first time. 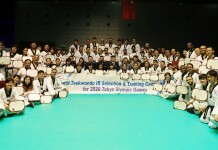 Japan is also ramping up its Para taekwondo credentials two years before the sport makes its debut at the 2020 Paralympic Games in Tokyo. The country is sending six fighters to Vietnam, a record number. Ito takes his training seriously. Finding it difficult to find competitors to fight in his home of Hakkaido, he moved his young family to Tokyo last year to improve his training options. He now trains three times a week in taekwondo, with physical training scheduled for his off days. He trains at several gyms to learn different styles and even competes with able-bodied university students to ensure he stays sharp. It’s all in preparation for his ultimate goal of representing his country at home in 2020. As host nation, Japan a designated spot in three divisions at the 2020 Paralympic Games. At world No. 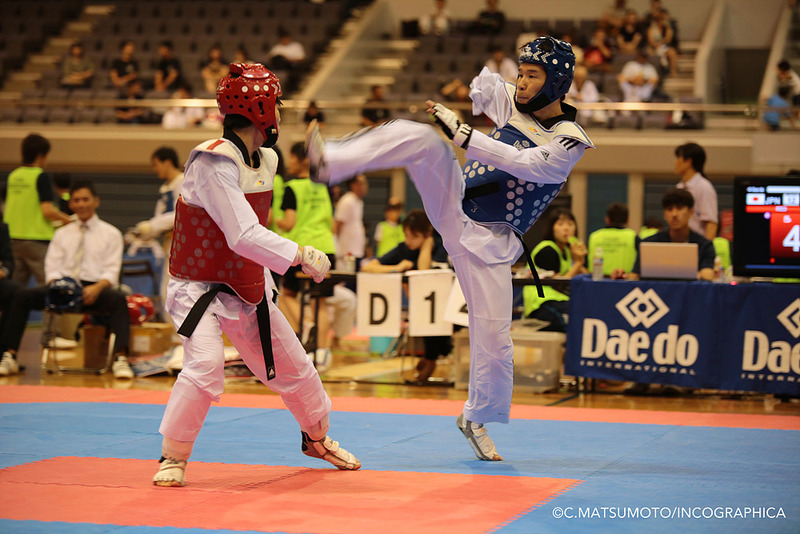 10, Ito is currently Japan’s top-ranked Para taekwondo athlete. He hopes to be ranked in the top six by year’s end. Spoken as a true pioneer.